What’s the first thing that comes to mind when you think of Melbourne? Is it the street art? The hipsters? The food? The fact this city seems downright obsessed with rooftop bars even though the weather is as temperamental as a troublesome two-year-old? Melbourne’s all that and more. Sure, the clichés are true (everyone wears black, we’re all obsessed with coffee) but the best thing about this city is that it’s full of secrets to uncover. Whether that’s a hidden laneway bar, a ten-storey shopping adventure or an underground theatre space, everything worth visiting is within easy reach (and cheap as chips to get to, thanks to the city-wide free tram zone). 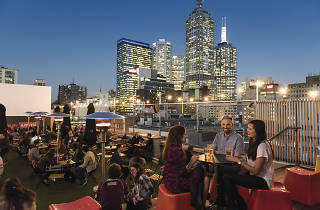 So if you're wondering where to stay in Melbourne, it's going to be a real corker. 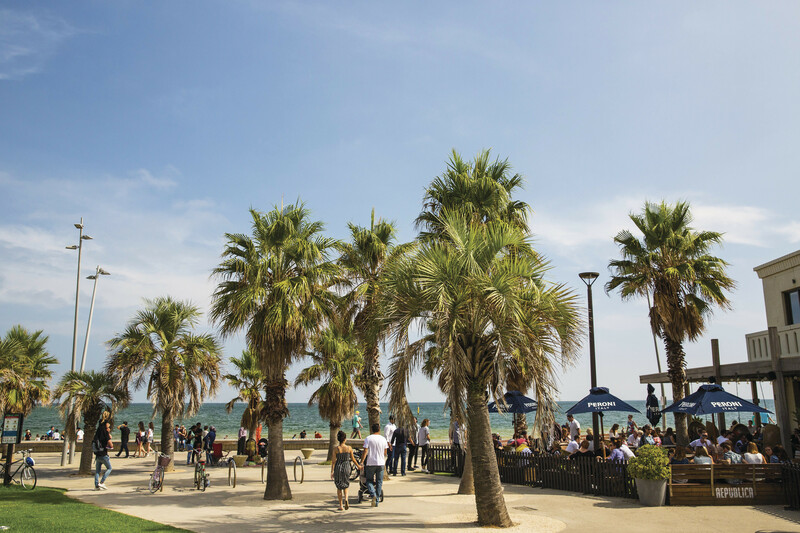 Take heed of our neighbourhood guides below and create your own personalised Melbourne itinerary to match. 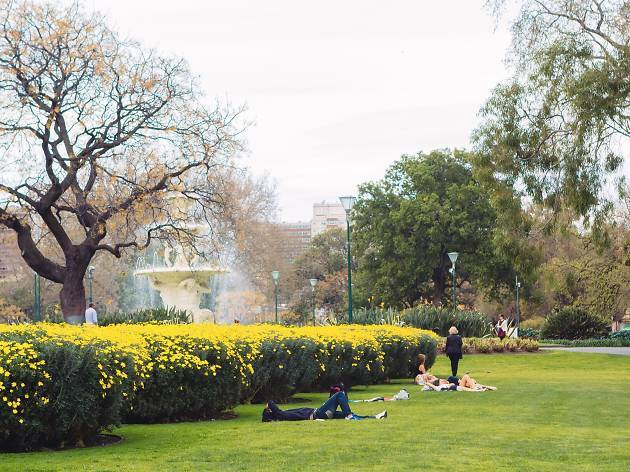 RECOMMENDED: 50 things to do in Melbourne before you die. 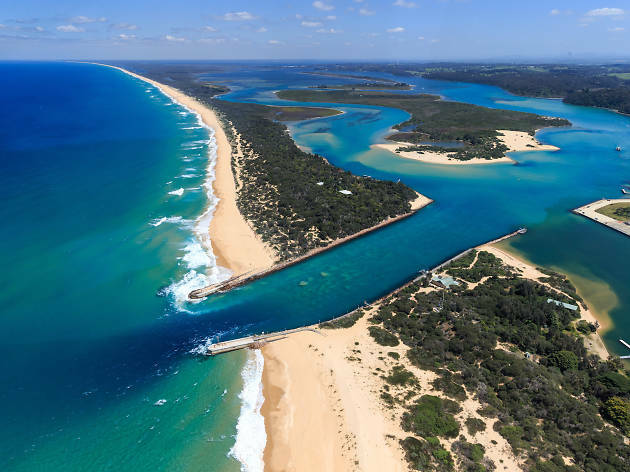 Stick a towel in your bag, put your swimmers on and head south to this coastal suburb. Since the mid-nineteenth century St Kilda has been a desirable seaside resort, with grand hotels, theme park rides and amusements, theatres, restaurants and shops. Thankfully all those amenities are still in abundance, if in various incarnations, making St Kilda a fun place to stop for a visit. Whether you find the grinning gateway of Luna Park creepy or amusing, there’s no denying that this long-running establishment is an icon of St Kilda. 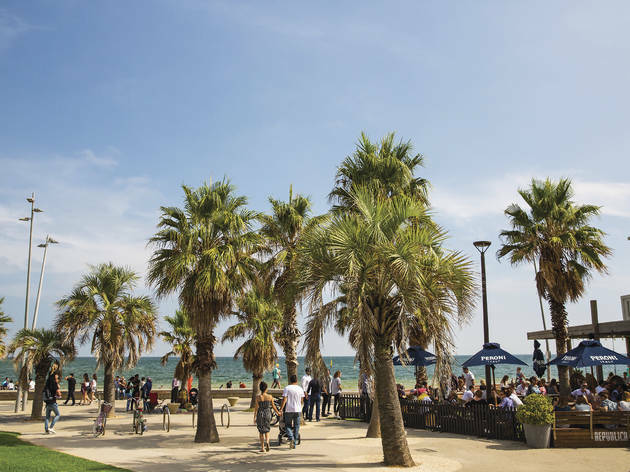 You’ll find rollercoasters and other hair-raising rides here, while next door you’ll see the beautiful, original 1927 Palais Theatre, which hosts massive bands, comedians, speakers and more. 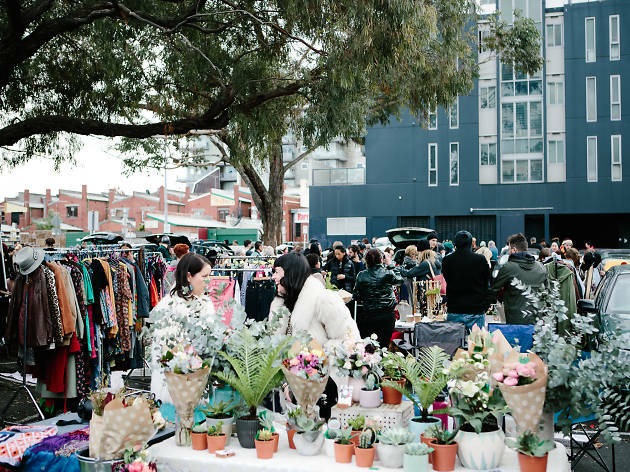 If you’re in St Kilda on a Sunday you can wander around the huge Esplanade Market, Which offers a wide selection of arts and crafts. A go-to destination for baked goods in St Kilda is Acland Street. The entire strip is lined with top bakeries, some of which have been there since the 1930s. Those with a sweet tooth should attempt a cake crawl through the lot, picking up a vanilla slice at Le Bon Continental Cake Shop, kugelhopf (European bundt cake) at Monarch and a fruit boat at Acland Cake Shop. You can’t go wrong with a session at the Local Taphouse. Tucked just off the corner of Carlisle and Balaclava, this bar greets you warmly with heritage wood panelling, a European menu and a satisfying selection of beer. There are 20 taps offering more stouts, sours, saisons, ales and blondes than your little beer-soaked heart could desire. Set up for a day or two in the Cosmopolitan Hotel, a stylish little stop-off round the corner from all the action. Sit down for a slap-up seafood meal at St Kilda institution Claypots. This Barkly Street joint is dark and mysterious, but full of character and always popular. 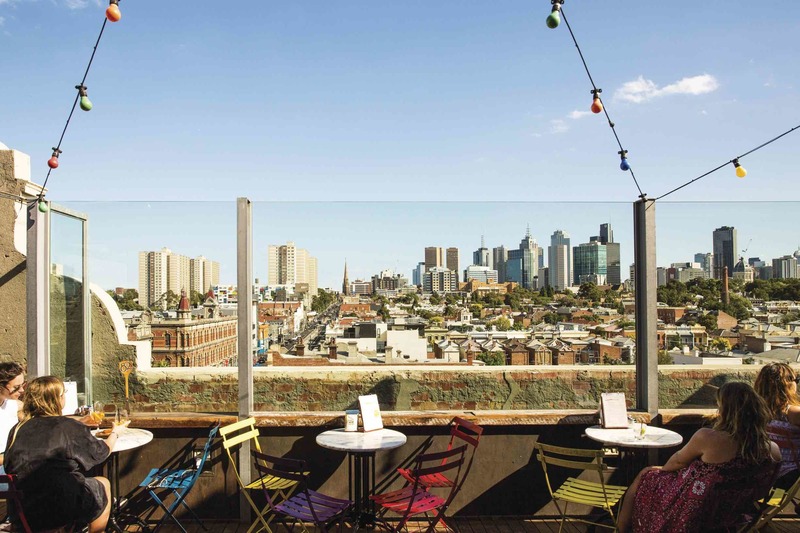 Melbourne’s alternative side is in full-force in Fitzroy, the inner-city magnet for all things cool and kooky and is just minutes north of the CBD on the 112 tram. 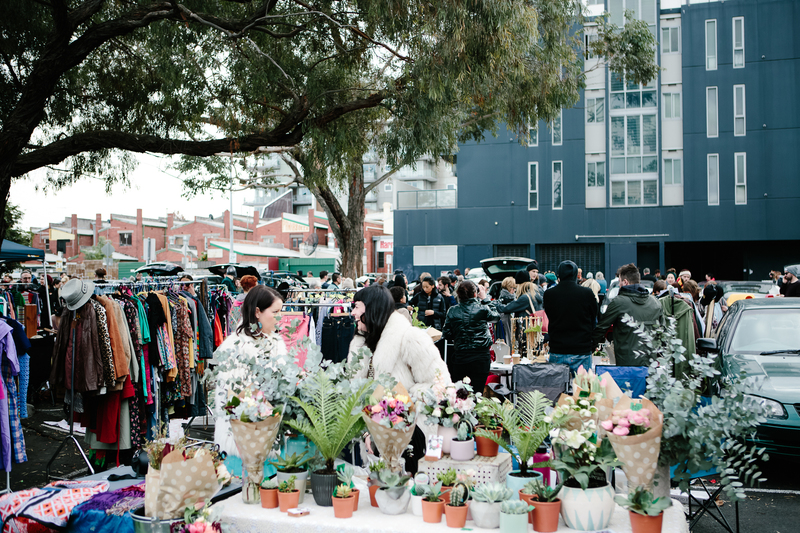 Wander along Brunswick Street, Fitzroy’s main drag, for tonnes of vintage clothing stores, second-hand bookshops and hometown fashion heroes like Gorman, Búl, Alpha 60 and Kloke. After a day of window-shopping, it’s time for a bite. Fitzroy really delivers on the restaurant front: get faux meats and delicious tacos at Smith and Daughters, fine dining Australian fare at Cutler and Co and spicy Southern-style fried chicken at Belle’s Hot Chicken. This northside hub is also made for drinking. While the crowds flock to Naked for Satan and its cracking rooftop bar, we suggest going a little off-book and hitting up American-style cocktail bar the Everleigh or rowdy party bar Black Pearl. 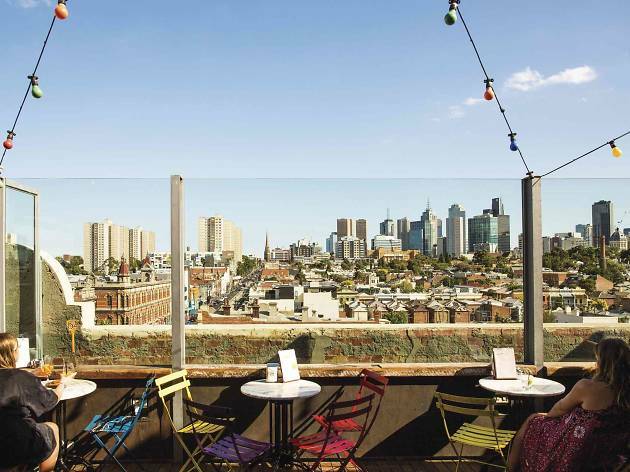 Your home away from home is the achingly hip Brooklyn Arts Hotel, a rambling bohemian mansion with the kind of eclectic charm you’d expect from a share-house of local vintage enthusiasts. Hit up Rose Street’s super-popular artists’ market. Each Saturday and Sunday, weave your way through the crowds and duck into the warehouse to check out a host of handmade fashion, food and curios for sale. Finish it up with a visit to the much-hyped Lune Croissanterie for crisp, golden and deliciously buttery pastries made with mathematical precision (which makes sense when the person behind the joint is a former Formula One aerodynamicist). Italian men playing cards outside a Lygon Street café might feel a little bit Sopranos if you’re unfamiliar with this vibrant area, but there’s nothing to fear in Carlton except for eating too much gelato. In agreeable weather, a picnic in the Carlton Gardens is a treat, you can learn something new at Melbourne Museum or just take a stroll on the leafy, terrace-lined Drummond and Rathdowne streets. Catch a boundary-pushing performance at La Mama theatre or a young up’n’coming indie band at The Curtin bandroom. DOC will give you the authentic pizza, while the Heartattack and Vine has very excellent Venetian tapas. Milk the Cow take the classic cheese and wine combo to the next level with fondue, cheese boards and cheese flights with matched wines, beers, sake and spirits. A great place to base yourself is at the very central, very cute Meko apartment, a lovely two bedroom house located in a quiet suburban street just off the main drag. Head inside Lygon Court to find arthouse movie theatre Cinema Nova and pastry icon Brunetti. And just across the street, you’ll find the best bookstore in the world Readings. But don’t just take our word for it – they have the hat tip from the London Book Fair to prove it. From the shopping precincts of Bourke Street Mall, Queen Victoria Market and the glitzy ‘Paris End’ of Collins Street, to the galleries of Federation Square and the arts precinct of Southbank, the CBD is a hotbed of activity. 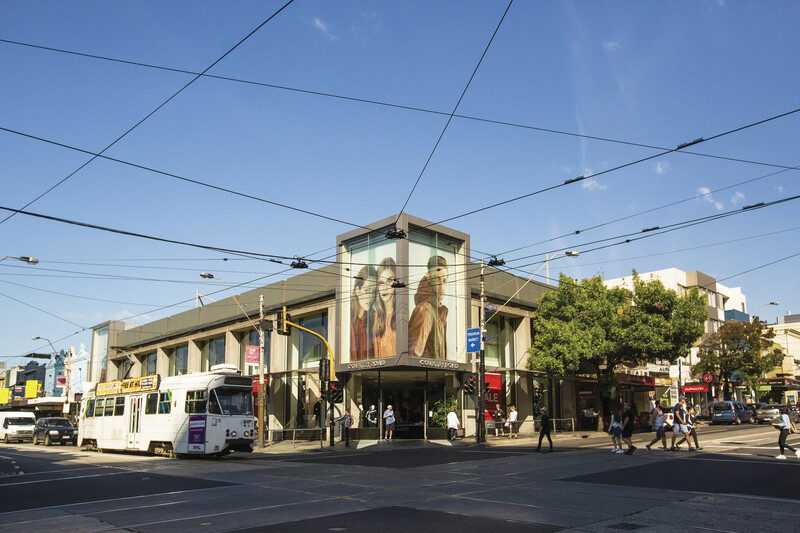 Jump on the free City Circle tram if you’re a newbie, which will trundle you past sights like the Melbourne Aquarium and the Princess Theatre – and of course, you’ll want to jump out and explore the coffee, boutiques and street art of the laneways and old arcades. 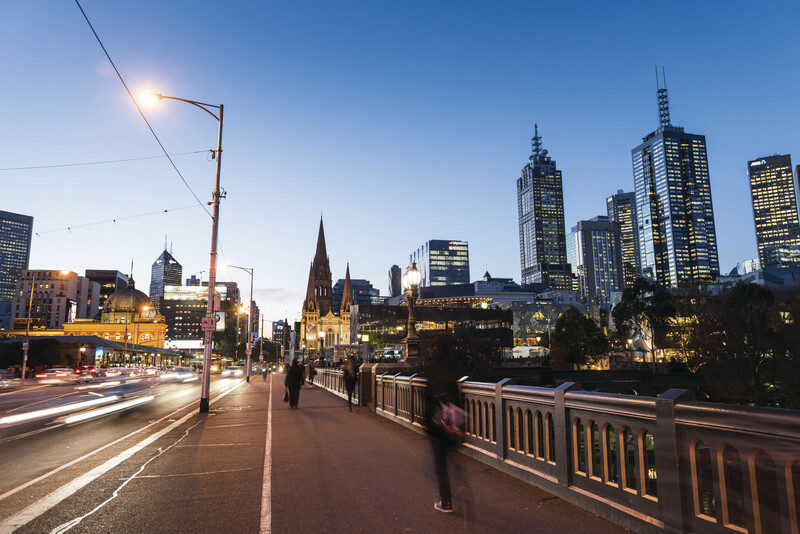 First and foremost for your CBD adventure, we recommend doing the time-honoured Melbourne thing: meet someone under the Flinders Street Station clocks and start exploring. When you’re spent and hungry, go out in search of housemade pasta at Tipo 00, quality burgers and people-spotting at Arbory Bar and A+ wine and cheese at Embla. 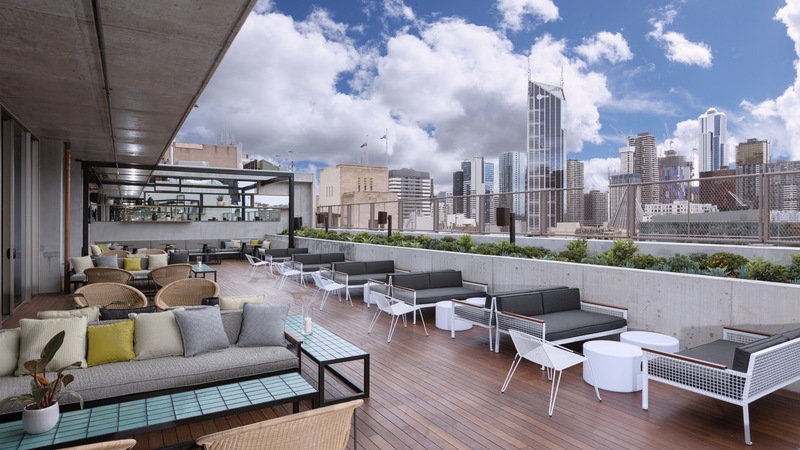 Quintessential drinking experiences come by way of uber cool laneway bar Section 8, the self-explanatory and much-loved Rooftop Bar and the dram slingers at Whisky & Alement. 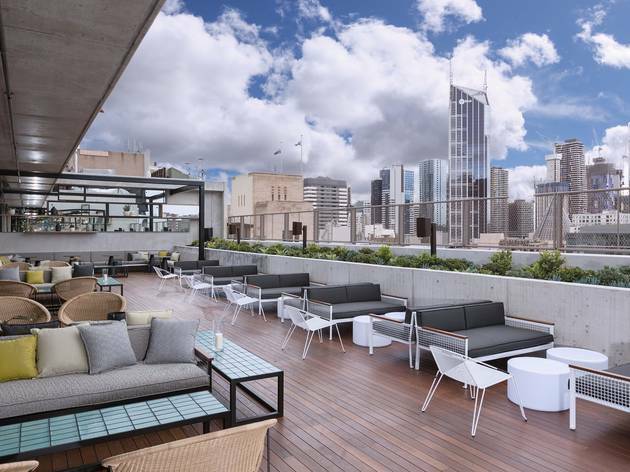 Staying in the CBD will come with a higher price tag, but the benefit is you’ll be seconds away from all the action. 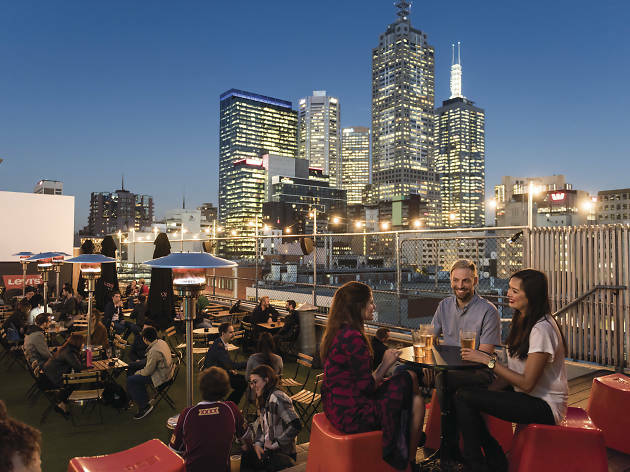 For something spesh, try QT Melbourne or Ovolo Laneways or get amongst Melbourne’s best cheap hotels. Hit up the extremely Melbourne Curtin House on Swanston Street. This six-storey vertical lane boasts everything from bars and restaurants to hair salons and shops. 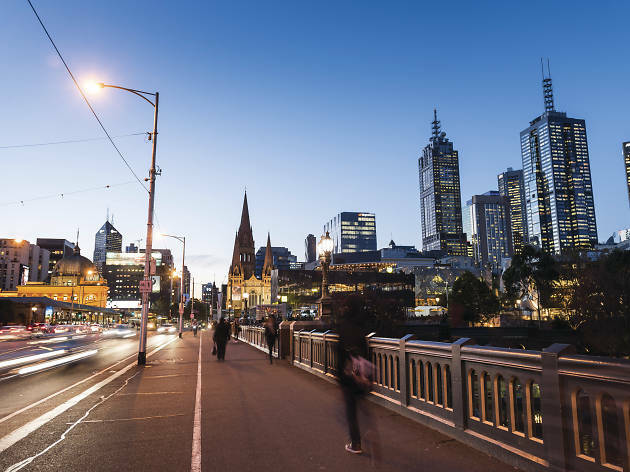 You can practically get the full Melbourne experience without setting foot outside the building. The brightest jewel of the west is arguably Footscray: a melting pot (or wok pan) of cultures spanning from Vietnam to Ethiopia. The migrant communities that have come to call Footscray home have in turn given back to the suburb with touches of their home countries, which means you can scoop up a goat curry with fresh injera, slip up pho and hunt down the best cannoli in town all in the same street. Footscray’s two main markets are the Footscray Market and the Little Saigon Market and it’s here you’ll find exotic fruits, cheap butchers, fresh seafood and specialty stores selling Chinese sauces and Mexican condiments. Don’t leave before you pull up a stool at the mini eateries selling Vietnamese street food like banh mi. The brunch options around the ‘Scray rival those of the inner north (give Rudimentary and Footscray Milking Station a go); you can get your pizza and beer on at Back Alley Sally’s; and then, of course, there’s the local legends at 8bit, a video game-themed diner dishing up shakes, loaded fries and some of the best burgers in Melbourne. Hot on the heels of the suburb’s foodie reputation is its growing arts scene, thanks in most part to the Footscray Community Arts Centre (FCAC), a central hub for cultural expression, contemporary arts and community involvement. Spend the night at the Plough Hotel, a multitasking space that’s part restaurant, part bar and part hotel with 11 boutique rooms that provide a minimalist yet comfortable space for guests to retreat to. You’ve gotta try the Ethiopian. Footscray’s east African community is the reason why Ethiopian cuisine has flourished alongside Vietnamese businesses on the main strip. Cafe Lalibela’s homestyle fare of curries served on the pancake-like injera is perfect for communal dining. They say you can see the shiny baubles and shop lights of South Yarra from space. Once a hotbed of mini skirts, fake tans and binge drinking, South Yarra’s now known as a stylish riverside suburb full up on art galleries, cocktail lounges and sought-after real estate. 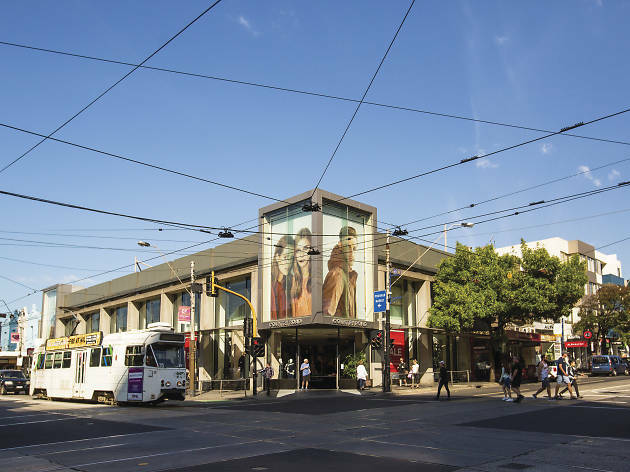 If you’re planning a hit-and-run retail day, this is your zone of choice, with Prahran just to your south and Richmond a short tram or train ride north. Chapel Street is the main drag and it’s littered with vintage treasures, local designers and big wig international designers. After hours, we recommend hitting Two Wrongs, a “fine diving” bar that mixes knockout cocktails and clever snacks with devil-may-care, somewhat ludicrous décor, then wandering over to Rambler (or sibling venue Leonard’s House of Love) for a solid feed. Stay #ontrend and book a stay at The Olsen, which boasts a huge collection of work by veteran Australian artist John Olsen (stepping into the lobby feels more like entering an art gallery than a boutique hotel). Go for a walk around The Tan. 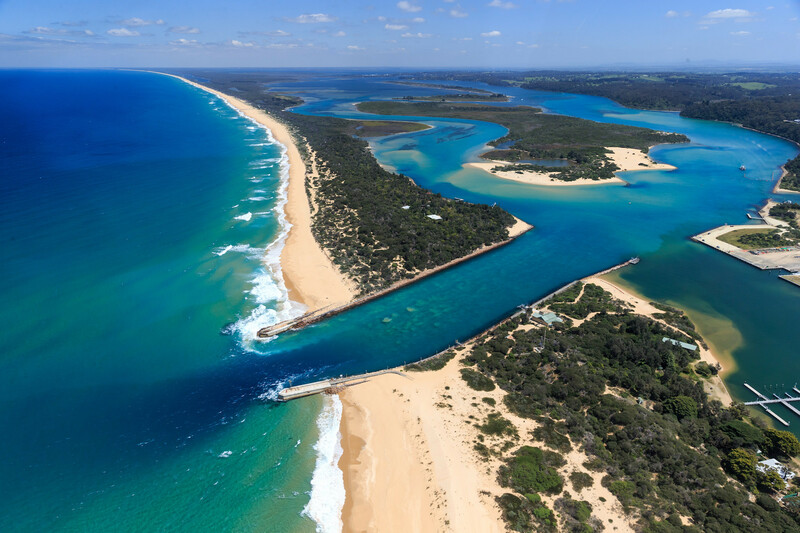 Almost four kilometres of primo jogging real estate, the Tan is encircled by the beautiful surrounds of the Royal Botanic Gardens. Whether you're searching for a well-priced arty hotel or five-star tooms you won't want to leave, we've got you covered. Think you’ve seen all of Victoria? Take a gander at some of the state's most unfamiliar locations, from tropical-style beaches to lavender farms straight out of the south of France.